In the world of cricket Tony Greig will forever be associated with world series cricket—a shorter, more dynamic and televised form of the game. But the Tony Greig speech at Lord’s this week was more of the Test match form. Long, and not so dynamic. Quite a contrast to the more modern 20:20 game. For a cricketer his delivery wasn’t helped by the length of the run-up to his main points. A 45-minute speech tends to obscure your view of the main points. We suspect he was briefed beforehand about the length of his speech. But on this occasion, it was simply too long. However, it’s always a good plan to ask how long should your speech be. Of course we all know Tony Greig for his outspoken nature. He has more than a view or two. And that’s what makes him the entertaining cricket commentator that he now is. We expected his speech to include some controversy and he didn’t disappoint. Taking the spirit of cricket as his theme Greig expressed his love of the game and everything it’s done for him. His speech didn’t shy away from dealing with his dramatic departure from mainstream cricket when he set up world series cricket with the late Australian media mogul Kerry Packer. That wasn’t exactly cricket. And so he had to deal with it. You might, on occasions, be amazed by an engaging speech. But, how do they do it? Well, there are several ways. But one way is for you to focus on how your audience will remember you and your speech. 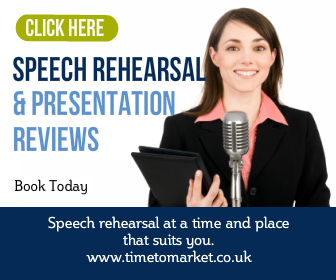 Therefore, here are 3 tips for how you can give an engaging and memorable speech. Make it memorable, so use a theme. Just like Tony Greig. Be practical and offer benefit, solutions or constructive ideas. And, of course Tony Greig faced the problem of the spirit of cricket throughout his speech. His own cricketing career didn’t always evoke a spirit of cricket. Professional cricket is one thing and amateur cricket another. This Tony Greig speech acknowledged that. Reading from his prepared speech he made his main observation. India’s cricketing bodies are not working within the right spirit. This was the contentious stuff that his audience expected. It’s not a new claim. But his speech made clear his views without setting out a clear formula for resolution. But clarity was sometimes a problem. It was a long speech with some long rambling sentences. He really didn’t need these in the script. 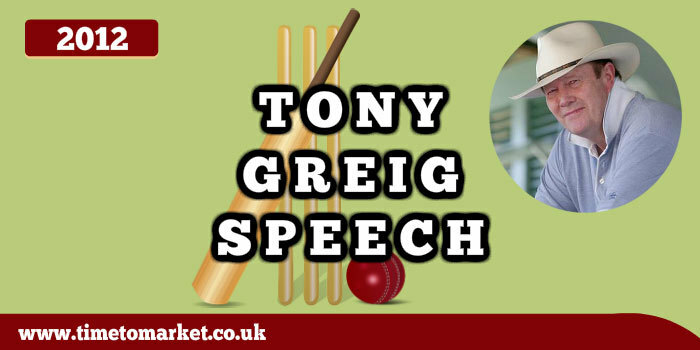 This Tony Greig speech will prove interesting to any cricket aficionado not least because of his reminiscences, anecdotes and stories. But it didn’t deliver in terms of a strategy for re-creating the spirit of cricket. That was too much. You can do it, of course. Because we saw with the Ian Chappell speech last year how you can speak with plenty of enthusiasm for your subject. When it came to questions and answers it was different. He came alive, fielding questions at will, batting them back to the questioner with interest and thoroughly enjoying his time at the crease. Perhaps a question and answer session might have better suited him than the long-form speech game. Tony Greig died in Australia on 29 December 2012, six months after this speech. 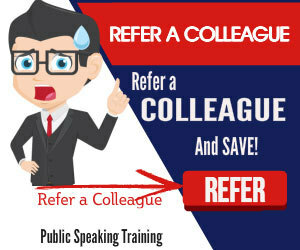 You can read plenty of public speaking tips and suggestions with our regular series of posts, podcasts and video tips. And, when you are ready for a more intensive session, then you can always consider some training or coaching. Because you can always boost your skills with an intensive session. So, please don’t hesitate to get in touch when the time is right. Admit That Tony was a Legend.